My research interests lie in the intersection of digital technology and tourism experiences, which include a broad topic within travel and tourism, human-computer interaction, consumer behavior, and mobility. I investigate the roles of information and communication technology (ICT) and digital media in shaping and transforming the behaviors of travelers, digging deeper into the processes of perception and emotional responses that lead to decisions and experience. The PriVELT Project (2018 - 2021) involves a group of researchers working in five academic disciplines (Computer Science, Tourism and Hospitality Management, Psychology, Business, Law) at four UK universities (University of Kent, University of Surrey, University of Warwick, Durham University). The project is led by Prof Shujun Li of Kent Interdisciplinary Research Centre in Cyber Security (KirCCS), University of Kent. It has an overall budget of £1.4m, with 80% (£1.13m) funding from Engineering and Physical Sciences Research Council (EPSRC). It is part of 11 granted projects following EPSRC's 2017 call on "Trust, Identity, Privacy and Security in the Digital Economy 2.0 (TIPS2)". PriVELT will address the two-sided challenges associated with offering a seamless and highly personalised end-to-end travel experience while balancing the privacy and security needs of leisure travellers. PriVELT aims to develop an innovative user-centric and privacy-aware digital platform that will empower leisure travellers to better manage the sharing of their personal data with travel service providers and other entities and foster new business opportunities for the travel and tourism industry through encouraging better (more transparent and effective) usage of travellers' data. Surrey's researchers (Grant: EP/R033196/1): Iis Tussyadiah (PI), Prof Graham Miller (CI), Prof Annabelle Gawer (CI), and Dr Athina Ioannou (RF). I investigate the applications and implications of AI and robotics in tourism and hospitality management. I co-supervise with Dr Jason Stienmetz PhD scholars, Aarni Tuomi, who conducts research on intelligent robots and automation in the restaurant industry, and Chao (Erin) Ling, who explores the implications of AI in the travel industry. In collaboration with colleagues in UK, China, Hong Kong, and Japan, I am conducting a series of studies on automation and robotics applications in tourism and hospitality settings, including how AI and robotics can be applied to nudge tourist behavior and contribute to sustainable tourism/hospitality operations. I am curating a Virtual Special Issue on AI and robotics in tourism for Annals of Tourism Research, planned to be launched in 2019. The video below shows aggregate data from eye-tracking and galvanic skin response (GSR) measurements as participants watched a video of a hotel check-in scenario with NAO robot (original video was sourced here; copyright belongs to EARS). This study aims to gauge people's automatic emotional reactions toward human-robot interaction in hospitality settings. It was conducted in the Digital Lab at the School of Hospitality and Tourism Management, University of Surrey using an integrated biometric research platform, iMotions. Please review my publication below or find me on Google Scholar and ResearchGate. *I provide PDFs of papers where I am the first/sole author. To obtain access to other publications, please contact me (send me an email or go to Home and complete the form under "Connect") or my co-author(s). Tussyadiah, I.P., Zach, F.J., Wang, J. (Accepted). Do Travelers Trust Intelligent Service Robots? Annals of Tourism Research. Lee, G., Lee, J., Tussyadiah, I.P. (2017). The Roles of Perceived Internal and External Benefits and Costs in Innovation Co-Creation: Lessons from Japan. Asia Pacific Journal of Tourism Research, 22(4), 381-394. DOI: 10.1080/10941665.2016.1271815. Tussyadiah, I.P., Inversini, A. (2016). Editorial: Special Issue on ENTER2015. Information Technology & Tourism, 15, 287-290. Tussyadiah, I.P. (2014). Social Actor Attribution to Mobile Phones - The Case of Tourists. Information Technology & Tourism, 14, 21-47. Kim, J., Tussyadiah, I.P. (2013). Social Networking and Social Support in Tourism Experience: The Moderating Role of Online Self-Presentation Strategies. Journal of Travel & Tourism Marketing 30 (1), 78-92. Tussyadiah, I.P. (2012). A Concept of Location-Based Social Network Marketing. Journal of Travel & Tourism Marketing 29 (3), 205-220. Lee, G., Tussyadiah, I.P. (2012). Exploring Familiarity and Destination Choice in International Travel. Asia Pacific Journal of Tourism Research 17 (2), 133-145. Ye, H., Tussyadiah, I.P. (2011). Destination Visual Image and Expectation of Experiences. Journal of Travel & Tourism Marketing 28(2), 129-144. Tussyadiah, I.P., Park, S., Fesenmaier, D. R. (2011). Assessing the Effectiveness of Consumer Narratives for Destination Marketing. Journal of Hospitality & Tourism Research 35(1), 64-78. Lee, G., Tussyadiah, I.P. (2010). Textual and visual information in eWOM: A gap between preferences in information search and diffusion. Information Technology & Tourism 12(4), 351-361. Park, S., Tussyadiah, I.P., Mazanec, J., Fesenmaier, D. R. (2010). Travel Personae of American Pleasure Travelers: A Network Analysis. Journal of Travel & Tourism Marketing 27(8), 797-811. Lee, G., Tussyadiah, I.P., Zach, F. (2010). A Visitor-Focused Assessment of New Product Launch: The Case of Quilt Gardens TourSM in Northern Indiana's Amish Country. Journal of Travel & Tourism Marketing 27(7), 723-735. Tussyadiah, I.P., Fesenmaier, D. R. (2009). Mediating Tourists Experiences-Access to Places via Shared Videos. Annals of Tourism Research, 36(1), 24-40. Tussyadiah, I.P., Fesenmaier, D. R. (2008). Marketing Places through First-Person Stories - An Analysis of Pennsylvania Roadtripper Blog. Journal of Travel & Tourism Marketing, 25(3-4), 299-311. Tussyadiah, I.P., Kono, T., Morisugi, H. (2006). A Model of Multi-destination Travel: Implications for Marketing Strategies. Journal of Travel Research, 44(4), 407-417. Pesonen, J.A., Tussyadiah, I.P. (2017). Peer-to-peer accommodation: Drivers and user profiles. In Dredge, D., Gyimóthy, S. (Eds. ), Collaborative Economy: Tourism Social Science Perspectives. Springer. Tussyadiah, I.P. (2015). An Exploratory Study on Drivers and Deterrents of Collaborative Consumption in Travel. In Tussyadiah, I. & Inversini, A. (Eds. ), Information and Communication Technologies in Tourism 2015. Switzerland: Springer International Publishing. Tussyadiah, I. (2014). Expectation of Travel Experiences with Wearable Computing Devices. In Xiang, Z., Tussyadiah, I. (Eds. ), Information and Communication Technologies in Tourism 2014 (pp. 539-552). Switzerland: Springer International Publishing. Tussyadiah, I. (2013). Meta-Design Approach for Mobile Platforms Supporting Creative Tourism Experiences. In Marcus, A. (Ed.). Design, User Experience, and Usability. Web, Mobile and Product Design (pp. 733 - 739). Berlin - Heidelberg: Springer-Verlag. Tussyadiah, I., Zach, F. (2013). Social Media Strategy and Capacity for Consumer Co-Creation among Destination Marketing Organizations. In Cantoni, L., Xiang, Z. (Eds. ), Information and Communication Technologies in Tourism 2013. Berlin - Heidelberg: Springer-Verlag. Tussyadiah, I. (2013). When Cell Phones Become Travel Buddies: Social Attribution to Mobile Phones in Travel. In Cantoni, L., Xiang, Z. (Eds. ), Information and Communication Technologies in Tourism 2013. Berlin - Heidelberg: Springer-Verlag. Tussyadiah, I. (2012). An Assessment of Contagion on Social Networking Sites. In Fuchs, M., Ricci, F., Cantoni, L. (Eds. ), Information and Communication Technologies in Tourism 2012. Vienna - New York: Springer. Tussyadiah, I. (2012). Territoriality and Consumption Behaviour with Location-based Media. In Fuchs, M., Ricci, F., Cantoni, L. (Eds. ), Information and Communication Technologies in Tourism 2012. Vienna - New York: Springer. Tussyadiah, I., Zach, F. (2011). The Influence of Technology on Geographic Cognition and Tourism Experiences. In Law, R., Fuchs, M. Ricci, F. (Eds. ), Information and Communication Technologies in Tourism 2011. Vienna - New York: Springer. Tussyadiah, I. (2010). Destination-Promoted And Visitor-Generated Images – Do They Represent Similar Stories. In Peter Burns, J. Lester, L. Bibbings (Ed. ), Tourism and Visual Culture: Volume 2: Methods and Cases. (1845936116th ed., vol. 2, pp. 156-168). Oxfordshire: CABI Publishing. Gretzel, U., Fesenmaier, D. R., Lee, Y. J., Tussyadiah, I. (2010). Narrating travel experiences: the role of new media. In Richard Sharpley, Phillip Stone (Ed. ), Tourist Experience: Contemporary Perspectives (Advances in Tourism). London: Routledge. Tjøstheim, I., Tussyadiah, I.P. and Hoem, S.O. (2007). Combination of Information Sources in Travel Planning: A Cross National Study. In Sigala, M., Mich, L. Murphy, J. (Eds. ), Information and Communication Technologies in Tourism 2007. Vienna - New York: Springer. Proceedings of ENTER2015 eTourism Conference in Lugano, Switzerland. Proceedings of ENTER2014 eTourism Conference in Dublin, Ireland. Tussyadiah, I., Li, S., Miller, G. (2019). Privacy Protection in Tourism: Where We Are and Where We Should Be Heading For. Nicosia, Cyprus: ENTER2019 Conference. Stienmetz, J., Liu, A., Tussyadiah, I. (2019). UK Residents’ Opinions of Peer-to-Peer Accommodation Impact on Quality of Life. Nicosia, Cyprus: ENTER2019 Conference. Tussyadiah, I., Miller, G. (2019). Perceived Impacts of Artificial Intelligence and Responses to Positive Behaviour Change Intervention. Nicosia, Cyprus: ENTER2019 Conference. Chen, Y., Liu, S., Tussyadiah, I., Zainal Abidin, H., Zarezadeh, Z. (2019). Inferences and Decision Heuristics in Peer-to-Peer Accommodation Booking. Nicosia, Cyprus: ENTER2019 Conference. Tuomi, A., Tussyadiah, I., Stienmetz, J. (2019). Robotised Hospitality: Empirical Insights from Japan. Houston, TX, USA: 23rd Annual Graduate Education and Graduate Student Research Conference in Hospitality & Tourism. Chen, Y., Tussyadiah, I., Gkritzali, A. (2019). Service Failure in Peer-to-Peer Accommodation: Mining Evidence of Negative Experiences. Houston, TX, USA: 23rd Annual Graduate Education and Graduate Student Research Conference in Hospitality & Tourism. Tussyadiah, I.P., Park, S. (2018). Consumer Evaluation of Hotel Service Robots. Jönköping, Sweden: ENTER2018 Conference. Zach, F.J., Wallace, S.A., Tussyadiah, I.P., Narayana S., P. (2018). Developing and Testing a Domain-specific Lexical Dictionary for Travel Talk on Twitter (#ttot). Jönköping, Sweden: ENTER2018 Conference. Benckendorff, P., Tussyadiah, I.P., Scarles, C. (2018). The Role of Digital Technologies in Facilitating Intergenerational Learning in Heritage Tourism. Jönköping, Sweden: ENTER2018 Conference. Tussyadiah, I.P., Zach, F.J., Wang, J. (2017). Trust in Service Robots among Cruise Travelers. Quebec City, Canada: The 48th Annual International TTRA Conference. Tussyadiah, I.P., Zach, F.J., Wang, J. (2017). Negative attitudes toward automated technology in tourism and hospitality. Bali, Indonesia: APacCHRIE Conference. Wang, D., Tussyadiah, I.P., King, B. (2017). The Impact of Location-Based Push Alerts on Tourist’s Onsite Decision-Making. Hong Kong: 3rd Global Tourism & Hospitality Conference. Tussyadiah, I.P., Zach, F., Wallace, S., Munkhjargal, S. (2016). Exploring Localized Language in Tourism Communication. Vail, CO: The 3rd Biannual Conference on Advances in Tourism Management. Tussyadiah, I.P., Wang, D., Jia, C. (2016). Exploring the Persuasive Power of Virtual Reality for Destination Marketing. Vail, CO: The 47th Annual International TTRA Conference. Tussyadiah, I.P., Wang, D., Jia, C. (2016). Assessment of Spatial Presence in Virtual Reality and its Effects on Intention to Visit Tourism Destinations. Hong Kong: The 2nd Global Tourism & Hospitality Conference. Park, S., Tussyadiah, I.P., Zhang, Y. (2016). Assessment of Perceived Risk in Mobile Travel Booking. Bilbao, Spain: ENTER2016 eTourism Conference. Tussyadiah, I.P., Lee, S.K. (2015). Competition and price determination in P2P accommodation. Tokyo, Japan: The 2015 APac-TTRA Conference. Tussyadiah, I., Kausar, D., Soesilo, P.K.M. (2012). An Investigation of Referral- and Comparison-based Social Influence on Social Networking Sites. Bali: The 4th Biennial ITSA Conference. Tussyadiah, I. (2012). The Perceived Social Roles of Mobile Phones in Travel. Virginia Beach, VA: The 2012 International TTRA Conference. Kim, J., Tussyadiah, I. (2012). The Impacts of Self-Presentation Strategies and Social Support on Tourism Experience. Virginia Beach, VA: The 2012 TTRA Conference. Kono, T., Tussyadiah, I., Kuwako, M. (2011). A Benefit Estimation of Quality Improvement in Multi-Destination Recreation Trips. Nishinomiya, Japan: Japan Economic Association Meeting. Lee, G., Tussyadiah, I. (2010). Tourist Motivation for eWOM Diffusion via Online Travel Forum. Beppu, Kyushu: Proceedings of the 9th Asia Pacific Forum for Graduate Students' Research in Tourism. Lee, G., Tussyadiah, I. (2010). Text and visual information in eWOM: A gap between information search and diffusion. San Antonio, TX: Proceedings of the Annual TTRA Conference 2010. Ye, Y., Tussyadiah, I. (2010). Tourists' Transformation Experience: from Destination Architectures to Identity Formation. San Antonio, TX: Proceedings of the Annual International TTRA Conference 2010. Ye, Y., Tussyadiah, I. (2010). Destination Visual Image Appeal and Perception of Experiences. Washington, DC: Proceedings of the 15th Annual Graduate Student Research Conference in Hospitality & Tourism. Lee, G., Tussyadiah, I. (2010). Exploring Innovation of National Tourism Organizations. Washington, DC: Proceedings of the 15th Annual Graduate Student Research Conference in Hospitality & Tourism. Gretzel, U., Tussyadiah, I., Fesenmaier, D. R. (2009). Recounting Tourism Experiences: The Role of New Media. Preston, Lancashire: Proceedings of Tourism Experiences: Meanings, Motivations, Behaviours Conference. Lee, G., Tussyadiah, I., Zach, F., Fesenmaier, D. (2009). A Visitor-Focused Assessment of New Product Launch: The Case of Quilt Gardens TourSM in Northern Indiana’s Amish Country. Las Vegas, NV: Proceedings of the 14th Annual Graduate Student Research Conference in Hospitality & Tourism. Ye, Y., Tussyadiah, I., Fesenmaier, D. R. (2009). Capturing the Phenomenon of Tourism Experience as a Foundation for Designing Experiential Brands. Las Vegas, NV: Proceedings of the 14th Annual Graduate Student Research Conference in Hospitality & Tourism. Park, S., Tussyadiah, I., Fesenmaier, D. R. (2009). Developing Dynamic Travel Personality for Destination Marketing: Network Analysis Approach. Las Vegas, NV: Proceedings of the 14th Annual Graduate Student Research Conference in Hospitality & Tourism. Gretzel, U., Tussyadiah, I., Fesenmaier, D. R. (2008). Factors Influencing Perceived Benefits Derived from Internet Use for Travel Planning: A Technology Use Model. Victoria: Proceedings of the Annual TTRA Canada Chapter Conference. Tussyadiah, I., Fesenmaier, D. R. (2008). Co-Creating Scenarios: The Provocative Forces of Host-Centric and Guest-Centric Stories on Travel Blogs. Philadelphia, PA: Proceedings of the 2008 Annual International TTRA Conference. Saari, T., Yoo, Y., Tussyadiah, I. (2008). Emotions in Mobile Media Assisted Tourist Experiences. Montreal, Quebec: Proceedings of ICA Conference. Yoo, Y., Tussyadiah, I., Fesenmaier, D. R., Saari, T., Tjostheim, I. (2008). Emergent Distributed Narratives in Spationtemporal Mobility: An Exploratory Study on Mobile 2.0 Services. Hawaii International Conference on System Sciences. Wang, C.-Y., Tussyadiah, I.P. & Mattila, A.S. (2008). Narrating Tastes, Tasting Narratives – Contents and Appeals of Restaurant Reviews on Web 2.0 Sites. Orlando, FL: The 13th Graduate Research Conference in Hospitality & Tourism. Tussyadiah, I., Tjostheim, I. (2007). Organic Representation of Destinations: Interpretation from Personal Photo Galleries. Eastbourne, UK: The 6th International Symposium on Aspects of Tourism. "Nudging for Privacy in Tourism." Keynote Speech, CBTS2018 Winter School and Summit, Bruneck, Italy (December 10-15, 2018). "AI and Experience Design." Invited Presentation at CBTS2018 Winter School and Summit, Bruneck, Italy (December 10-15, 2018). "Digital Transformation in Tourism." Keynote Speech, III International Conference on Dynamics and Trends in Tourism, Benevento, Italy (November 14-16, 2018). "Intelligent Automation for Tomorrow's Tourism." TURITEC International Conference, Malaga, Spain (October 10-11, 2018). "The roles of Technology in Sustainable Tourism." Panelist, UNWTO World Tourism Day 2018 Official Celebration, Budapest, Hungary (September 27, 2018). "The roles of Artificial Intelligence in city tourism." Invited Presentation, Workshop on Challenges for European City Tourism, Jerusalem, Israel (May 1-5, 2018). "The Technological Future: Creating Fascinating Tourism Experiences in Tourism." Keynote, International Mediterranean Tourism Market (IMTM) Exhibition, Tel Aviv, Israel (February 6, 2018). "Designing Technology for Behavioral Design." Keynote Speech, Consumer Behavior in Tourism Symposium (CBTS) 2017, Bruneck, Italy (December 13-16, 2017). "Innovation and Technology in Tourism and Hospitality." Keynote Speech, V FCGTourH, Balneario Camboriu, Brazil (November 30, 2017). "Designing Experiences with Technology in Tourism." Guest Lecture, CTF - Service Research Center, Karlstad University, Sweden (November 17, 2017). "Psychophysiological Measurements in the Study of Digital Media and Tourism." Workshop on Analytics in Tourism Design, Vienna, Austria (November 8, 2017). "Technological Advances in Tourism." Keynote Speech, II International Conference on Tourism Dynamics and Trends, Seville, Spain (June 28, 2017). "Integrating Autonomous Technology in Tourism & Hospitality." Research Retreat, UQ Business School, University of Queensland, Australia (June 5, 2017). "Harnessing the Potentials of Virtual Reality for Destination Marketing." Research Seminar, School of Hotel & Tourism Management, The Hong Kong Polytechnic University, Hong Kong SAR, China (March 18, 2016). “Virtual Reality and Tourism Strategies." Professor for a Day (guest lecture), School of Hotel & Tourism Management, The Hong Kong Polytechnic University, Hong Kong SAR, China (March 17, 2016). "Peer-to-Peer Accommodation: Drivers, Barriers, and Impacts." Keynote Speech, The 30th Meeting of European Travel Commission (ETC) Market Intelligence Group, Prague, Czech Republic (February 19, 2016). "Social Media Marketing & Analytics." Business Growth MAP Alliance Workshop, Carson College of Business, Washington State University Vancouver, WA (February 17, 2016). "Trends in eTourism Research." Keynote Speech, PhD Workshop at ENTER2016 eTourism Conference. Bilbao, Spain (February 2, 2016). 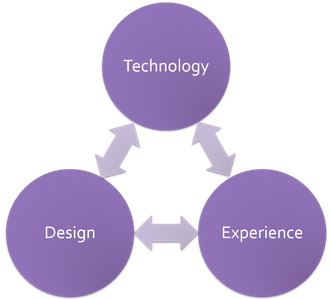 "Design Research: Integrative Research for Experience Design in Tourism." Research Workshop at ISCONTOUR 2015, Salzburg, Austria (May 18, 2015). "Personal Technology and Tourism Experience." Panelist, UNPAD - IFITT e-Tourism Seminar, Faculty of Economics and Business, Universitas Padjadjaran, Bandung, Indonesia (May 24, 2014). "Emergent Distributed Narratives of Tourism Experiences." Guest Lecture, Bright Green Tourism Design Charrette, University of Southern Denmark, Sønderborg, Denmark (April 16, 2013). “Mobile-based Research Methods.” Facilitation at ENTER 2012 PhD Workshop, Helsingborg, Sweden (January 23, 2012). Tussyadiah, I.P. (PI), Miller, G., Gawer, A. "PRIvacy-aware personal data management and Value Enhancement for Leisure Travelers (PriVELT)," funded by the Engineering and Physical Sciences Research Council (EPSRC), October 2018 - September 2021 (Grant). The team is part of a consortium led by Prof Shujun Li (Consortium PI) from the University of Kent (total project value: £1.4m). Wang, D. (PI), Fesenmaier, D., Tussyadiah, I. "Conceptualizing in-destination decision making by tourists," funded by Hong Kong Research Grant Council's General Research Fund (GRF), 2018 - 2019. Wang, D. (PI), Tussyadiah, I.P. “The Narrative Persuasion of Virtual Reality Imagery for Tourism Marketing,” sponsored by the School of Hotel & Tourism Management, the Hong Kong Polytechnic University, Hong Kong SAR, China, January 1, 2016 – December 31, 2017. Tussyadiah, I.P. (PI), Zach, F., Wallace, S., Munkhjargal, S., "Twitter-feed Analysis of Travel and Tourism in Pierce County, Washington," Sponsored by Pierce County, Washington, September 15, 2015 – December 31, 2016. Wang, D. (PI), Tussyadiah, I.P., "The Spillover Effects of Daily Use of Mobile Technology to the Travel Domain: Cognitive and Embodied Approaches," Sponsored by Hong Kong Polytechnic University, Hong Kong SAR, China, July 1, 2013 – December 1, 2014. Tussyadiah, I.P., "Quilt Gardens Tour Experience Study 2010," Sponsored by Elkhart County Conventions & Visitors Bureau, Indiana, May 1, 2010 - April 30, 2011. Zach, F. (PI), Tussyadiah, I.P., "The City of Cape May Tourism Plan - Extension," Sponsored by The City of Cape May, New Jersey, 2011 - 2012. Roehl, W. S. (PI), Zach, F., Tussyadiah, I.P., Fesenmaier, D. R., Barber, E. H., "The City of Cape May Tourism Plan," Sponsored by The City of Cape May, New Jersey, September 1, 2009 - March 31, 2011. Tussyadiah, I.P. (PI), Zach, F., "Quilt Gardens Tour Experience Study 2009," Sponsored by Elkhart County Conventions & Visitors Bureau, Indiana, May 1, 2009 - April 30, 2010. Fesenmaier, J. (PI), Tussyadiah, I.P., "Evaluation of Visitor Experience," Sponsored by The Franklin Institute, Philadelphia, June 2008 - December 2008. Yoo, Y. (PI), Tussyadiah, I.P., Saari, T., Fesenmaier, D.R., "Mobile Computing and User-Activated Narrative Networks in Tourism," Sponsored by Samsung Electronics, Inc., February 1, 2007 - September 30, 2008. Tussyadiah, I.P., Zach, F., Wallace, S., Munkhjargal, S. (2015 - 2016). "Pierce County, WA: Twitter Analysis." Q4 2015, Q1 2016, Q2 2016, Q3 2016, and Final Report. For Pierce County, WA. Miller, I., Olsen, N., Rich, K., Takao, M., Tussyadiah, I. (2016). “Assessment of Market Potential for Coworking Spaces in Downtown Vancouver, WA.” For the City of Vancouver, WA. HBM 495: Case Studies and Research (Capstone) Project. Couturier, T., Kinsman, C., Suhotin, V., Tussyadiah, I. (2015). "Assessment of Market Potential for Mobile Food Vending in Downtown Vancouver, WA." For the City of Vancouver, WA. HBM 495: Case Studies and Research (Capstone) Project. Tussyadiah, I. (2012). "Cape May Comprehensive Tourism Plan." For the City of Cape May, NJ. Tussyadiah, I. (2011). "Cape May Tourism Marketing Plan – Preliminary Plan." For the City of Cape May, NJ. Zach, F., Tussyadiah, I. (2011). "City of Cape May Visitor Profiles – Winter 2010/2011." For the City of Cape May, NJ. Zach, F., Tussyadiah, I. (2010). "City of Cape May Visitor Profiles – Summer and Fall 2010." For the City of Cape May, NJ. Tussyadiah, I., Lee, G., Zach, F. (2010). “Quilt Gardens Tour: Visitor Experience Study 2010.” For Elkhart County Convention and Visitors Bureau, Elkhart, IN. Tussyadiah, I., Lee, G., Zach, F. (2009). “Quilt Gardens Tour: Visitor Experience Study 2009.” For Elkhart County Convention and Visitors Bureau, Elkhart, IN. Tussyadiah, I., Ye, H., Zach, F., Fesenmaier, D. (2008). “Elkhart County Brand Image Study.” For Elkhart County Convention and Visitors Bureau, Elkhart, IN. Fesenmaier, D., Tussyadiah, I., Zach, F., Gretzel, U., Patkose, M. (2008). “Travelers Use of the Internet.” For Travel Industry Association. Tussyadiah, I., Lee, G., Zach, F., Fesenmaier, D. (2008). “Quilt Gardens Tour: Visitor Experience Study 2008.” For Elkhart County Convention and Visitors Bureau, Elkhart, IN.